One of my father's lasting memories growing up in 1950s Los Angeles was the smog. It's where I grew up too. But what I remember most is the traffic: the endless hours spent crawling along in the car with my parents as we tried to get around the city. Sadly, three decades later not much has changed. Today, commuters in LA waste almost two whole working weeks a year stuck in traffic. And the air pollution this summer was as bad as it has been for years. 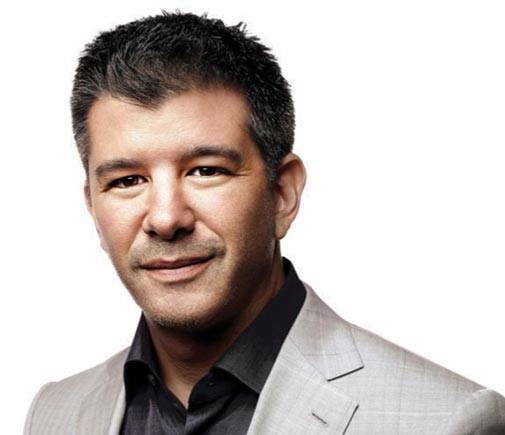 Travis Kalanick, CEO of ride-hailing company Uber, believes that shared, self-driving services would substantially reduce the number of cars on the road in India, easing congestion and pollution woes considerably. Worse still, this kind of pollution and congestion is now a fact of life in megacities all around the world. Delhi is suffocating under the thickest smog in decades, with a toxic haze shutting down schools and forcing citizens to wait in line for hours just to buy air masks. Fixing these problems is now a priority for most city governments, whether you live in Madrid, Manila or Mexico City. Of course, it's easy to demonise the automobile. But the problem is not so much cars themselves-it's how we use them: individually. Next time you stop at a red light, look to your right or left. Chances are those cars will have just one person in them: the driver. Because it turns out that when you drive alone, you're actually in good company. For many city dwellers individual car ownership is a necessity not a luxury. It's a form of "mobility insurance"-people own cars to ensure that they can reliably get where they need to go, whether that's work, school or to visit family. This is especially true in poorer communities that are not well served by subways or trains. And once you've paid all that money to buy a car, you're much more likely to use it, even when there are decent alternatives. The good news is that new technology-on-demand ridesharing apps like Uber-can help solve these problems. Because the ability to push a button and get a ride is becoming a reliable, convenient and affordable alternative to individual car ownership. Let's start with reliability and convenience. Uber has proven that ridesharing can serve every corner of a city-including the parts that other means of transportation cannot reach. Take Mumbai, where you can push a button and the average ride is less than 10 minutes away. On-demand, ridesharing apps also complement existing public transportation systems, at no extra cost to the taxpayer. Because if your subway or bus don't get you all the way home, ridesharing will take you that last kilometer. Affordability is crucial as well. On-demand, ridesharing apps will only replace individual car ownership if they can serve people at every income level. The obvious solution is sharing. 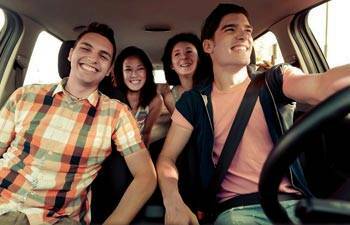 By getting multiple people into one car, they can split the cost. Of course, policymakers have been talking about carpooling for years but the idea never really took off, mostly because it was just too hard-until now. A few years ago our engineers noticed that Uber had a lot of duplicate rides-that is, people going to the same place at the same time. They asked the question: could we use technology to match these people up in real time, making it one ride instead of two, or even three? The real question was, "would people choose to carpool with strangers for a discount?" The answer was a resounding yes. Because sharing isn't the issue: it's price and convenience that matter most to people. In Delhi today, one year since the launch of our carpooling service, around a quarter of our trips are with uberPOOL. And last month we asked riders in Delhi to pledge to #SwitchToPool. We're taking the campaign to Mumbai, Bangalore, Kolkata, Hyderabad and Chennai as well. And we're already seeing attitudes to individual car ownership begin to change-because when people are given an affordable, reliable alternative they're happy to take it. 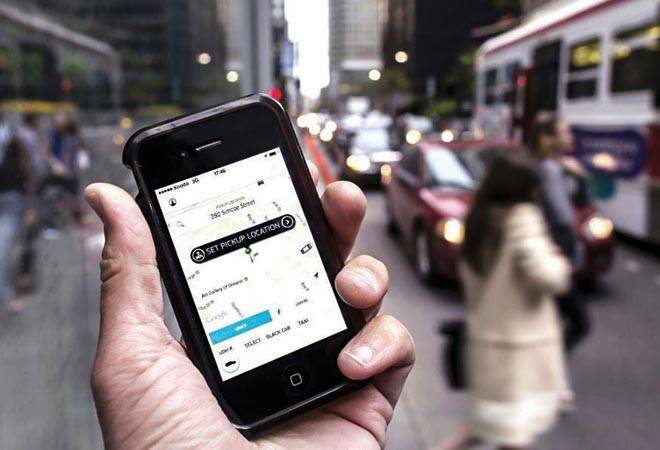 A survey in the UK showed that 28 percent of Londoners who gave up a car did so because of ridesharing services. I would bet that many children living in cities today will never feel the need to own a car when they grow up. What's more we're only just getting started. Today, ridesharing apps make up less than four per cent of all miles driven globally. But estimates suggest that number will rise to 25 percent by 2030. Indeed, self-driving cars will enable us to fast forward to this future. A recent OECD study found that a shared, self-driving service could reduce the number of cars on the road by 90 per cent or more. With that, our cities would become unrecognizable, with so much of the stress and cost gone from city life. Places that embrace ridesharing now will have a natural advantage when it comes to self-driving. It's partly because individually-owned self-driving cars will create the same congestion challenges as cars today. So, we need to get people used to leaving their cars at home sooner rather than later; or better still, not buy one at all. And given that self-driving cars will initially be pretty expensive, sharing them across multiple passengers will help reduce the cost of rides-ensuring the technology is adopted more quickly.